Joseph N. Nicollet was a stud, although he may have not known that is his time. In fact, his untimely death occurred before he could see his life’s work completed. Even so, his amazingly accurate maps would go on to guide young America’s settling of the upper Midwest and forever change the plains and prairies of our great nation. Today, Nicollet is remembered as the name of a city, a county, a famous avenue and a historic island, as well as a number of businesses and historical monuments throughout Minnesota and the Dakotas. For all you local history buffs (and giveaway fanatics), you could win one of three copies of Nicollet’s journal. These out of print, hard to find books are also available for sale at the lodge for $30. 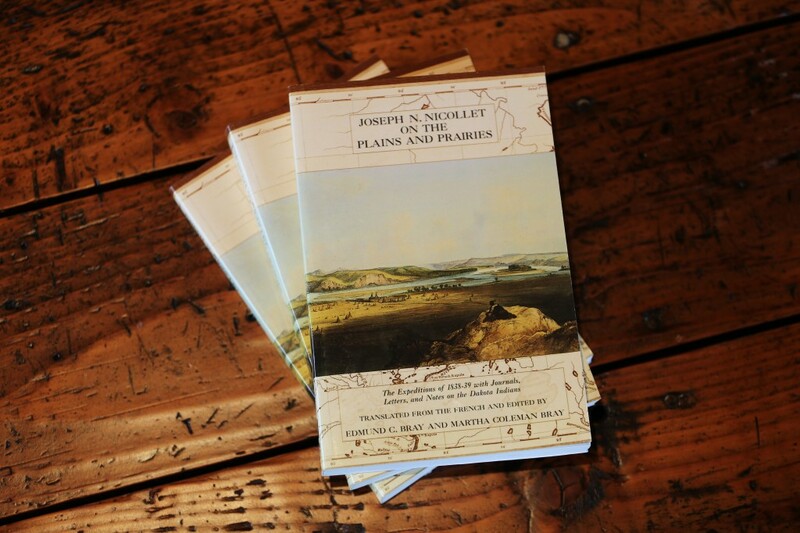 The journals from Nicollet’s 1838-39 expeditions in the Dakotas were translated from the original French and published for the first time in 1976. Nicollet’s journals are truly fascinating and are a real joy to read. Imagine exploring the open prairies of the Dakotas long before they were even known as the Dakotas. No roads, no towns, no farms, no fields. Just prairie and the indigenous peoples and creatures thereof. His journals describe numerous encounters with the Native Americans of the region, some quite friendly and others rather dangerous. Also, he saw vast herds of antelope and bison numbering in the thousands moving freely across the plains. Sign in to the Rafflecopter widget above via the Facebook login link or with your name and email. This is the only way to be officially entered into the giveaway! The giveaway will be open until 12:00am Saturday, January 11th, 2014. Winners will be announced on Saturday, January 11th, 2014. The winners will be chosen randomly by Rafflecopter and contacted via email. If the winners do not respond with the requested contact information within 48 hours, another winner will be chosen. 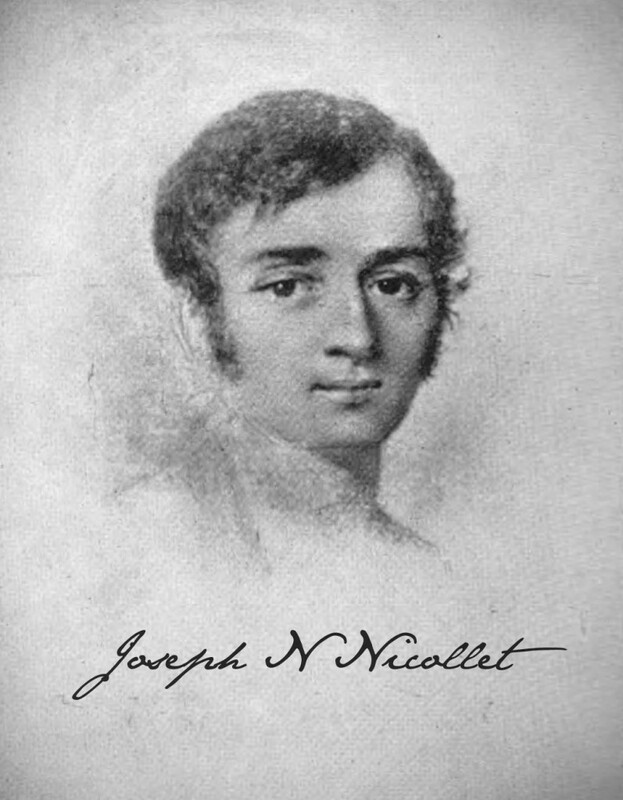 Click here for another article on our website about Joseph N. Nicollet. I would have loved to been his botanist on the expedition and catalog all the plants. i would have; loved to JUST HAVE BEEN PART OF HIS EXPEDITION! I THINK THE STUDY OF THE LANDSCAPES AND THE INDIAN CULTURES WOULD HAVE BEEN GREAT!!! Perhaps the Lodge could focus an event/history seminar on this study of the area by Nicollet. When I lived in Maryland we would travel to D.C. to see a speaker present a slide show talk of their world travels and work. I could see something similar (presented by a history professor?) or perhaps a re-enactment weekend. I know a lot of friends who attend voyageur weekends in Illinois. Might have been a little cold in Buckskin. Would have loved to have been along to view the beautiful scenery. Having grown up near the Nicolette Tower in northeast South Dakota, I miss the hills on the prairie!